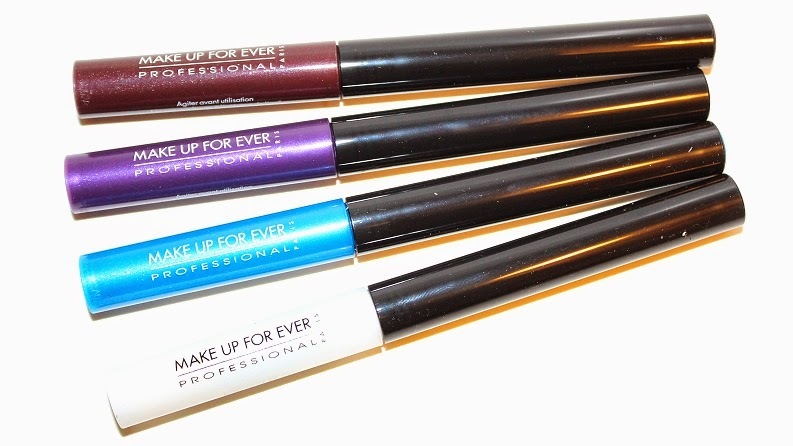 Make Up For Ever Aqua Liner (0.058 oz) retails for $23 USD ($27 CAD) and is available in 18 shades. 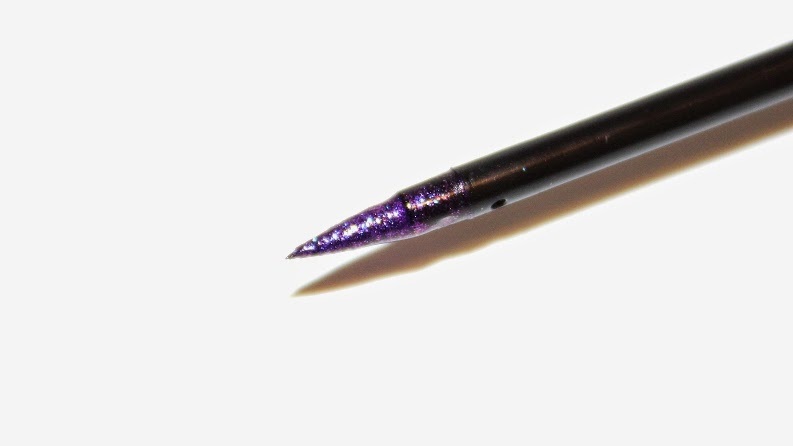 They are said to be "a waterproof liquid eyeliner for intense non-stop color. " * 5 Diamond Turquoise Blue is described as a sparkling turquoise blue. 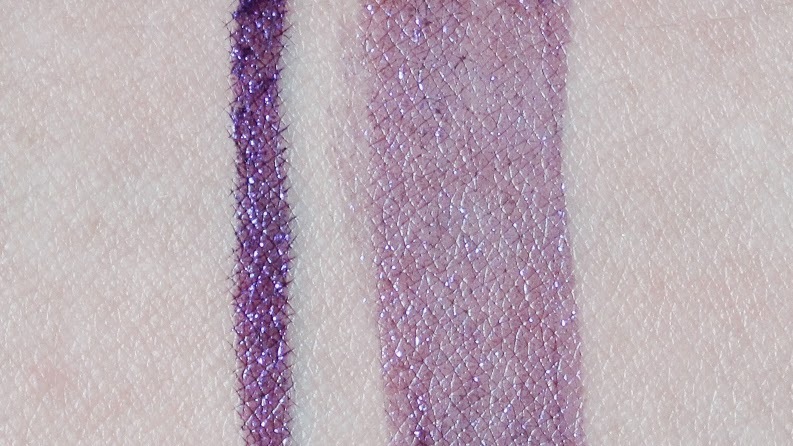 * 8 Iridescent Electric Purple is described as a bright purple sheen. * 11 Diamond Burgundy is described as a sparkling plum burgundy. * 16 Diamond White is described as a sparkling silvery white. 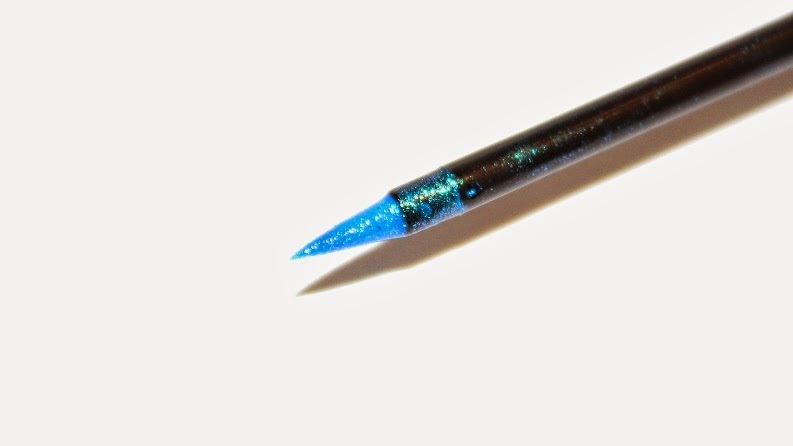 "Rich in polymers, this superior eyeliner offers an impeccable hold that guarantees water-, tear-, and smudge-proof color. Its ergonomic, foam-tip applicator is designed to resemble a makeup brush handle for the quickest, easiest, and most accurate application. 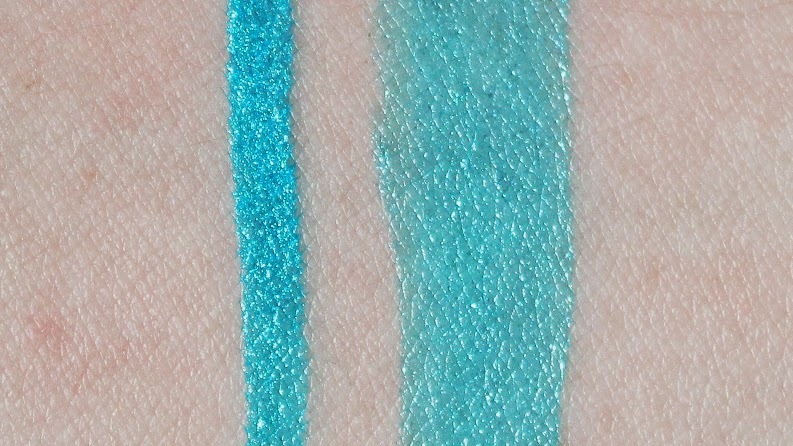 Waterproof, highly pigmented, and smudge-proof, the Aqua collection of long-lasting lip and eye colors was created for the Parisian Aquatic Ballet. 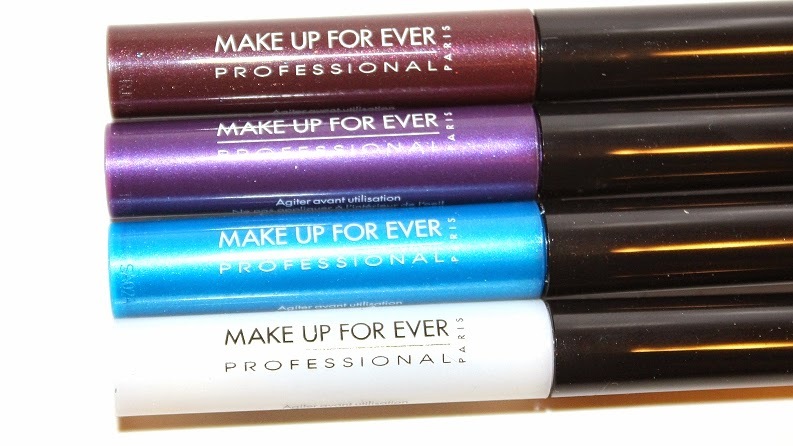 Tested under water for five hours, Make Up For Ever’s longest wearing makeup has an extensive palette of high-performance colors with non-stop results. This product is fragrance free and ophthalmologist tested." The packaging is simple and contains two sections, the short half being the product and the longer half being the applicator/brush. 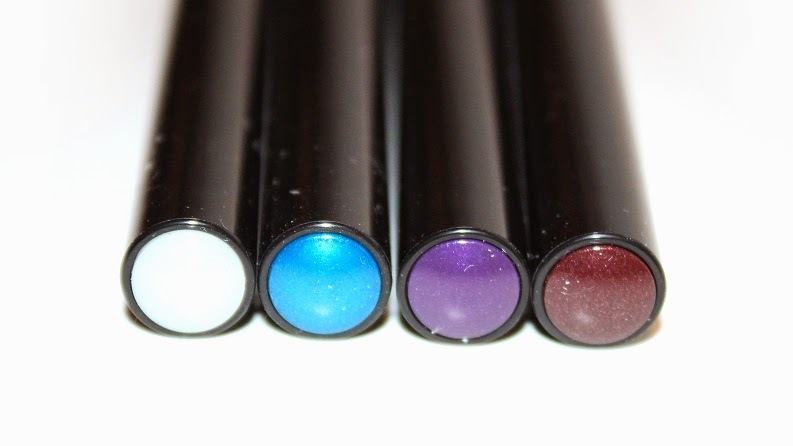 The tube is color coded, as well as a dot on the end of the applicator, making it easy to decipher which shade is which. The applicator is a standard, short, tapered foam brush that allows you to have more precision when applying and stops your brush from holding too much product. 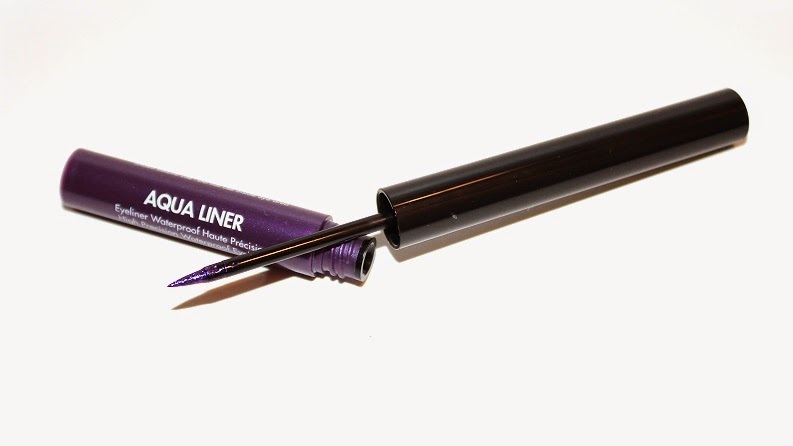 The formula is on the thinner side (almost like water), smooth, pigmented and glides on easily. These liners can be built depending on your preference. 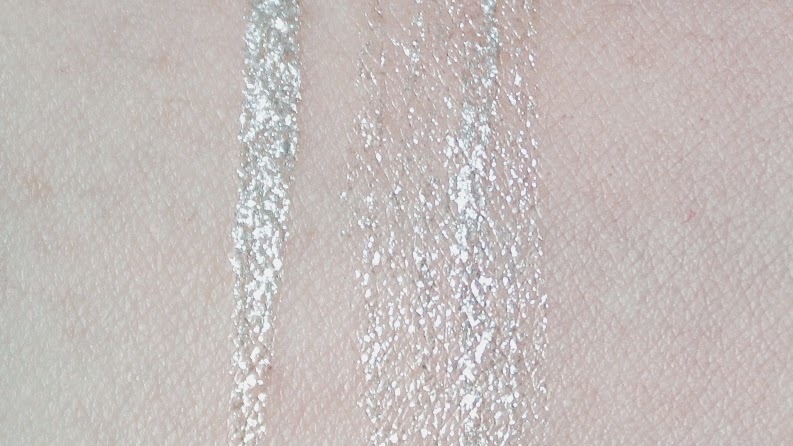 One coat is extremely pigmented and vibrant but I found for lighter shades like 16 (Diamond White), two or more coats was necessary to achieve that bold, shimmery look. 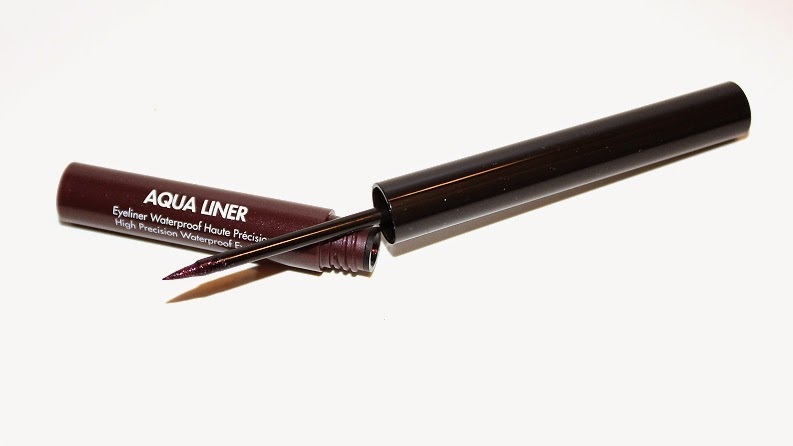 Like most liquid liners these do need to be shaken before application otherwise the formula becomes way less pigmented. 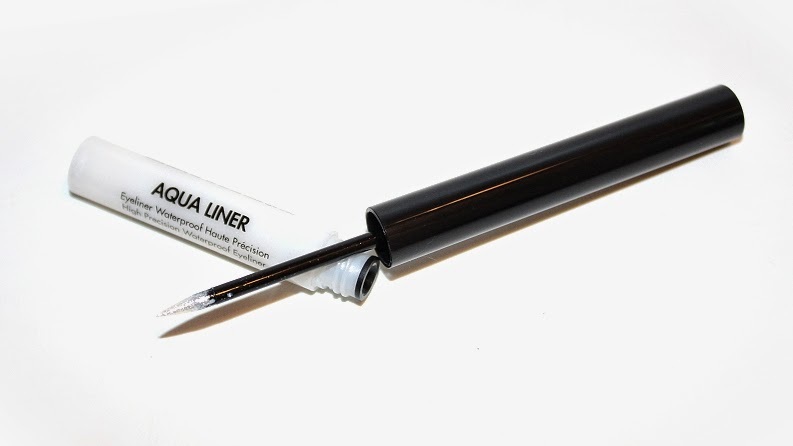 Once applied, the aqua liners don't budge, smudge, run or flake. 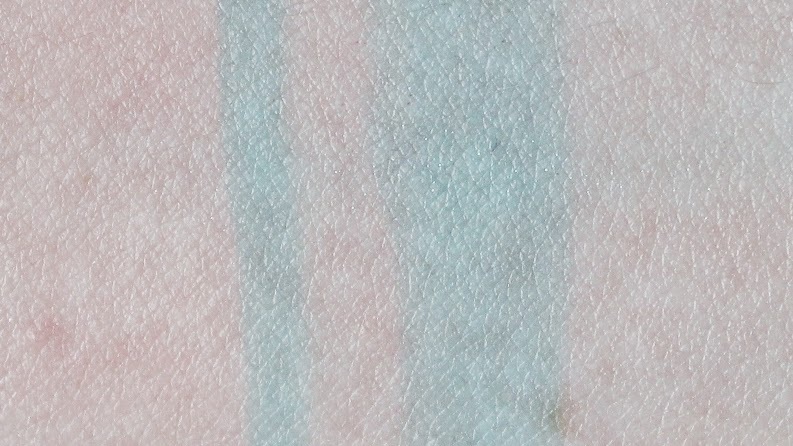 They are waterproof for the most part, obviously if you were to rub and/or apply enough pressure under warm water they would eventually budge, but initial humidity doesn't cause them to bleed or fade. 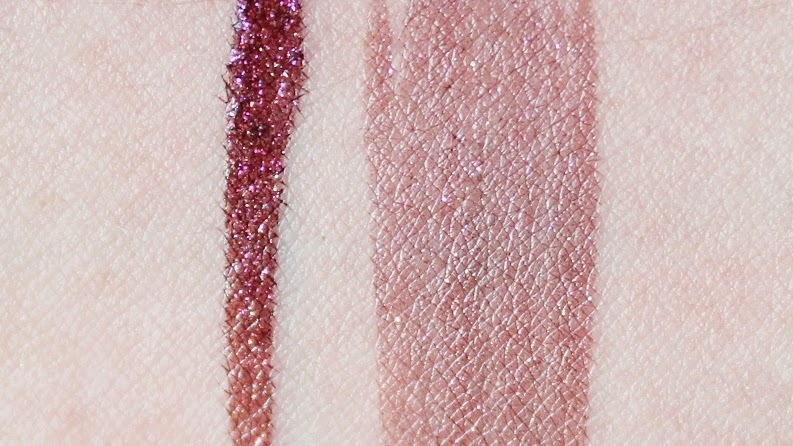 All four shades I currently own are long-lasting, they wear around +10 hours before showing any noticeable wear and depending on the shade these do stain slightly. I found when I applied 16 (Diamond White) in my tear duct area it started flaking around the +7 hour mark. But again, these don't budge until you're ready to remove them. Removing them is easy, any makeup remover or makeup wipe will take them right off. 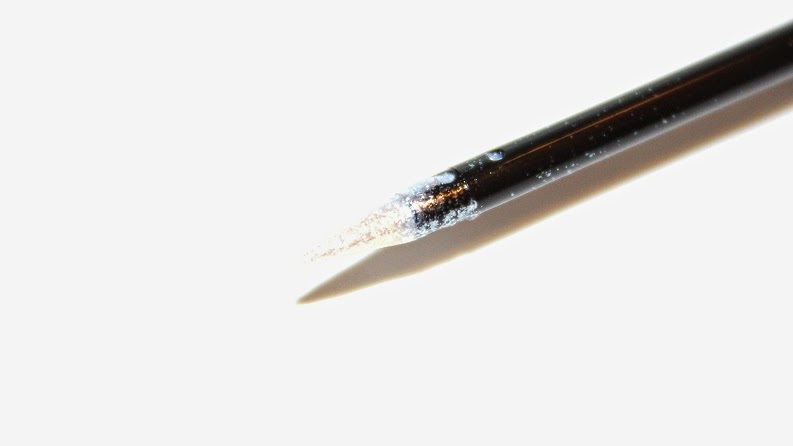 They tend to flake off rather than slide off like a regular pencil liner. 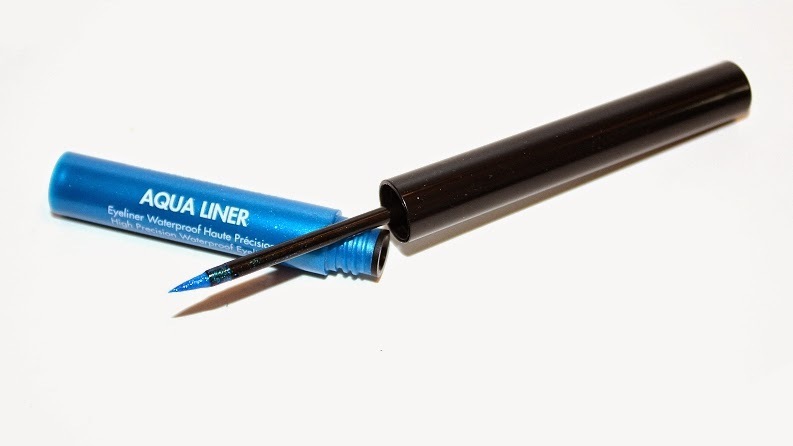 Overall, they are a nice liquid liner and they do stay put all day. The price point for the amount of product you're getting is a little steep so it's really weighing the pros and cons for yourself. 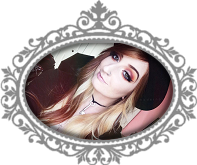 I will have a comparison video/post up in the future for the Make Up For Ever Aqua Liners vs. the Urban Decay 24/7 Waterproof Liquid Liners – so stay tuned for that!